When you develop a definite plan of action with well-timed, well-informed steps, you can stop the foreclosure process and save your home. We have outlined the foreclose process for the state of Georgia. Non judicial foreclosure through the power of sale clause in a deed of trust, mortgage or Georgia security deed is preferred. Judicial foreclosure may be done by filing a petition in Superior Court describing the case, the amount of money owed and the property to be foreclosed. Upon the filing of the petition, the court will grant a "rule" directing that the unpaid principal, interest and costs be paid to the court. The rule must be published two times per month for two months. As an alternative to publication, the notice can be served on the borrower, the borrower’s agent, or the borrower’s attorney, at least 30 days before the money has to be paid in court. Although Georgia permits non-judicial foreclosure, such as sale are in derogation of common law, and therefore, the lender can only foreclose if the terms and conditions of the loan documents are strictly observed. No sale is value unless the sale is advertised and conducted at the usual time, place and manner in which sheriff’s sales are conducted in the county in which the real estate is located. A foreclosure notice must be mailed certified mail, return receipt requested to the debtor no later than 15 days prior to the date of the foreclosure sale. The time period begins the day the letter is postmarked. 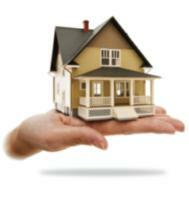 The notice must be mailed to the address given to the lender by written notice from the borrower. No waiver or release of the rights to notice is valid if it was signed at the same time as the original loan papers; however, a quit claim deed conveying title voluntarily in lieu of foreclosure is valid. The notice must be published once a week for four weeks proceeding the foreclosure day. Notice must be published in the newspaper in the county where the sheriff’s sale are normally advertised. The sale itself must be made by public auction on the first Tuesday of the month between 10:00 am and 4:00 p.m. at the courthouse. Under Georgia law, a non judicial foreclosure cannot, by itself, serve as the basis to pursue a borrower for a deficiency. In order to obtain a deficiency judgment, a lender must report the sale to the Superior Court of the county in which the property is located and seek confirmation and approval of the sale within 30 days after the sale. The court must hold a hearing before confirming or approving the sale. The borrower must be given notice at least five days before the hearing. The borrower must ordinarily be served personally with the notice, although service by mail can be recognized if the borrower failed to allege non-receipt of the notice. Before the court can issue an order confirming and approving the sale, the court will require evidence that the foreclosure sale price was at least equal to the market value of the property. If it was not, then the court may not confirm or approve the sale. Also, at the hearing, the court will pass judgment on the legality of the notice, advertisement and "regularity" of the foreclosure sale. The court may order a new sale of the property for good cause. The BPO that was done on the property, by Freddie Mack the lender was given not a fair BPO per my property agent. I wish to know if the courts will realize this and order a new sale? I am being shoved around unjustly by Suntrust Mortgage Bank. Grace, please call me to discuss this. My number is 407-219-8739.